It's the one time of the year when people can drive around with cut trees on their roofs without looking completely insane! Nathan Rousseau Smith has the tips and tricks to finding the perfect Christmas tree. Finally, it’s the one time of the year when people can lug cut trees around without looking completely insane!????((VO))? 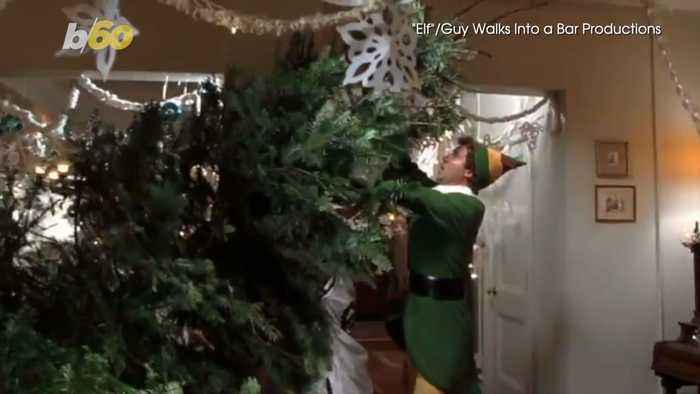 ?Whether you’re ready to go full-on Griswold in November...???? ((NAT POP - lighting tree))????((VO))? ?Or buy that Christmas tree after the leftovers have come and gone, there are some crucial tips you need to remember if you decide to go with a real tree.????((VO))? ?Country Living interviewed the experts and found the most important tip is to buy early. That’s because all the trees for sale are cut in late October/November. And if you’re an Mitchell you need as many choices as possible.???? ((NAT POP - Modern Family))????((VO))? ?Bring that measuring tape, the stand alone will add six inches in height. You may be feeling ambitious, but we all know from “Elf” bigger doesn’t always mean better, no matter how full of spirit you are.???? ((NAT POP - Elf))????((VO))? ?According to Country Living, be sure to choose a tree with dark green needles. It should also feel waxy, not dry. And if possible, get a tree that isn’t already wrapped, so you know what you’re working with.????((VO))? ?Then as soon as you get home with your prized possession, cut off a few centimeters from the bottom and put that baby in some water. While it’s soaking up the good stuff, time to get those decorations. Christmas trees hate direct sun and heat, so to help, try using LED lights this year. Nobody wants to see it go up in flames, Grinch style.???? ((NAT POP) - Grinch)????((VO))? ?And one last thing, once you find the perfect tree, be sure to strap it on tight… nobody wants a Modern Family mishap.???? ((NAT POP - Gloria screams))? ?